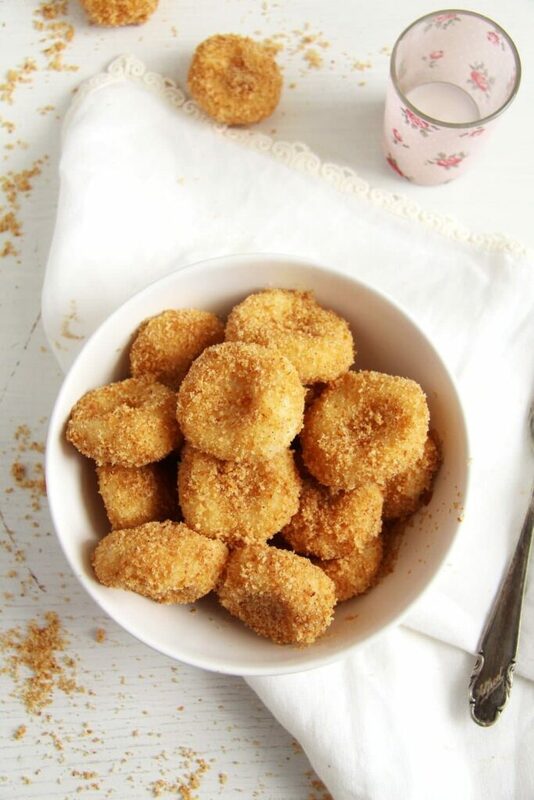 Sweet cottage cheese dumplings coated with sugary breadcrumbs – a typical Romanian dessert – papanasi/papanash fierti. 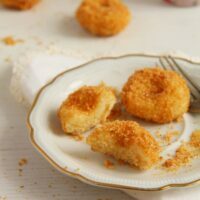 Last week I introduced you to one of my favorite Romanian desserts, one of the best known desserts in Romania: Romanian Cheese Doughnuts with Jam – Papanasi. 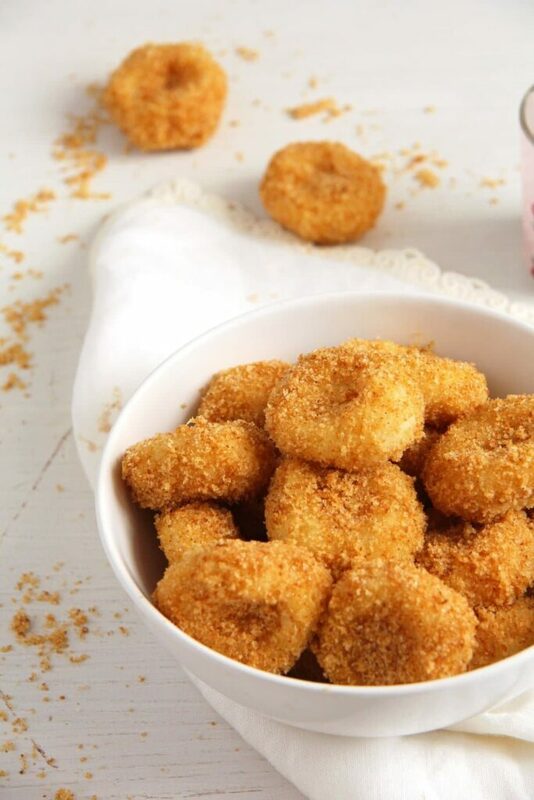 Papanasi prajiti to be exact, which means Fried Cheese Doughnuts. Today I will give you the recipe for another version of papanasi – papanasi fierti, which means that the papanasi are cooked and not fried. So, this would be the healthier version as well! 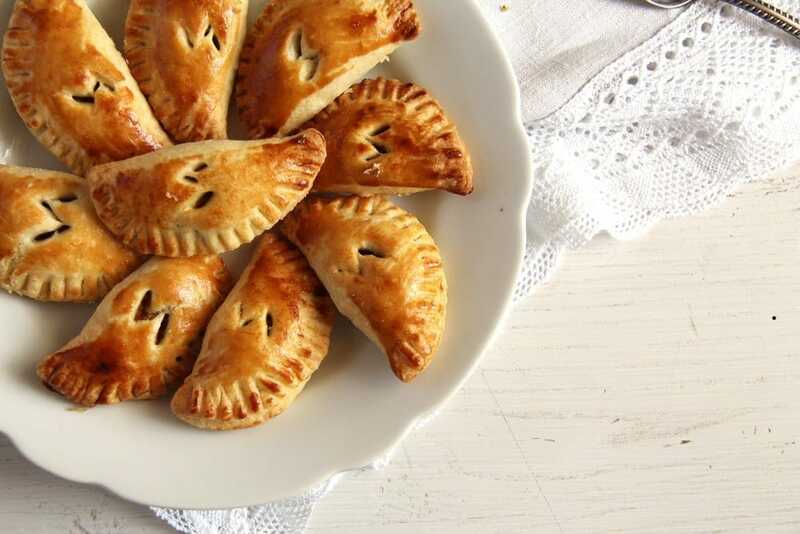 Although they are both called papanasi in Romanian, I could not call today’s papanasi doughnuts in English and I could not call last week’s papanasi dumplings. Same Romanian name, pretty much the same ingredients, though the end result is something very different. 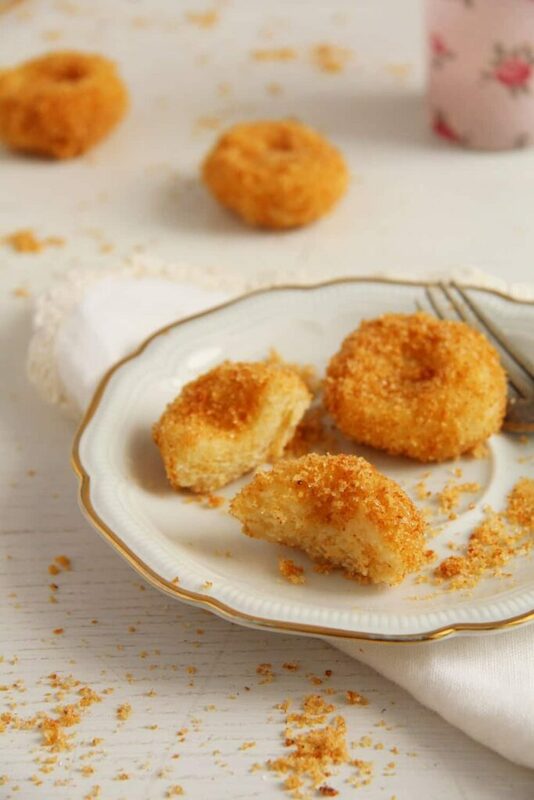 Last week’s papanasi were decadent, calorie-laden, fried doughnuts oozing with jam and smetana/ crème fraiche, while today’s papanasi are light, delicate dumplings (a bit like gnocchi), sweetened only by the sugary breadcrumb coating. I could not say which of these papanasi I like best. When I eat the fried ones, I like the fried ones better, (although there is always this guilty feeling involved – I can never eat something fried with an easy conscience). Start with frying the dried breadcrumbs until golden brown as they will need a little time to cool. Once they are completely cooled stir in the sugar. I normally add about 2 heaped tablespoons granulated sugar, you can add more if you want your cottage cheese dumplings to be sweeter. However, keep in mind that you will probably serve this Romanian dessert with jam, which is also sweet. As I cannot buy the typical branza de vaci used to make the Romanian cottage cheese dumplings and the Romanian Cheese Doughnuts with Jam in Germany, I used cottage cheese again. As the typical Romanian fresh cheese called branza de vaci or cow’s cheese is dryer than the regular cottage cheese, make sure to drain the cheese for a while before you make the dough and add a little bit more flour if necessary to obtain a manageable dough. Don’t overdo it though, too much flour will result in tougher dumplings, which taste good, but are not so airy and light as they are supposed to be. The Romanian fresh cheese is also slightly finer than regular cottage cheese. To obtain a similar consistency, you should blend the cottage cheese shortly, give it a finer structure, but don’t turn it into a paste. Once you have mixed the ingredients needed for this Romanian cottage cheese dumplings, you will have to form the papanasi. You will need a little more flour for forming the papanasi, but please, don’t add too much or the papanasi will become very chewy. The dough should remain very soft and it is OK if it is still a bit sticky. Form a ball on the floured working surface and roll it into a sausage about 3 – 4 cm/ 1.1 – 1.5 inches thick. Cut the sausage into 20 pieces. Flour your hands and roll each piece into a ball. Turn these balls through the flour onto the working surface so that they are lightly coated in flour and pat them gently to remove the excess flour. Flatten the ball to form a disk and press a dent into the middle of the disk with your floured finger. While you form the dumplings bring a large pot of water to a boil. Turn the heat down to medium low and carefully give the Romanian dumplings to the pot. They will sink to the bottom of the pot. Take a slotted spoon and run it under the dumplings to prevent them from sticking to the bottom of the pot. Cover the pan and simmer the cheese dumplings for 5 minutes. Turn off the heat and let the papanasi stand in the hot water for another 5 minutes. Remove with a slotted spoon and drain in a sieve. Roll the wet dumplings into the breadcrumb and sugar mixture and serve immediately as they are best served warm. Serve as they are or topped with any kind of runny jam or even topped with more regular or vanilla sugar. 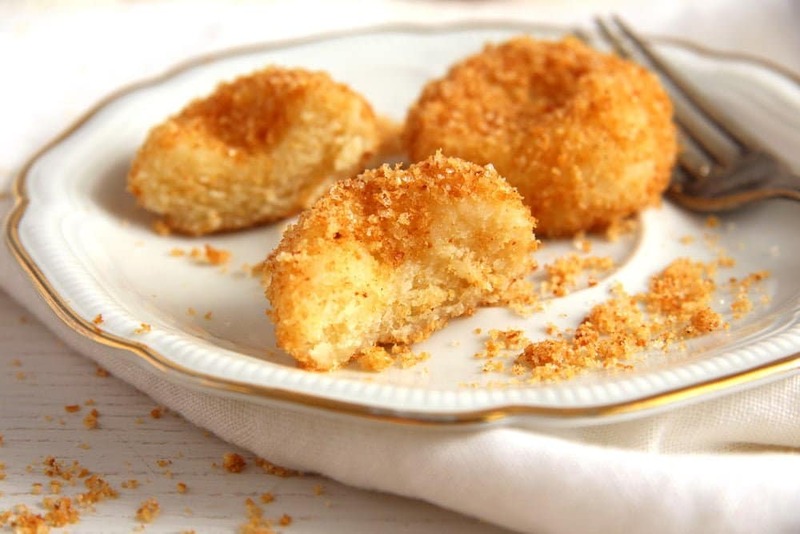 Sweet dumplings made with cottage cheese and semolina and coated with sugary breadcrumbs – Romanian papanasi fierti. Give the cottage cheese to a fine mesh sieve and drain thoroughly. Start by preparing the breadcrumbs. Melt the butter in a large pan, add the breadcrumbs and stir for a few minutes until the breadcrumbs are golden. Transfer to a large bowl and let get cool. When cold, add the sugar and mix well. Bring a large pot of water to a boil. Add the salt. In the meantime mix the drained cottage cheese, egg and vanilla sugar in a bowl. With the immersion blender, blend the ingredients until you obtain a rough paste. Add the semolina and the flour and mix with a spoon. The dough should be soft and a little bit sticky, but still manageable. Sprinkle the working surface generously with flour. Turn the dough onto the flour and form a ball. If the dough is too soft and you cannot really work with it, gradually add a little more flour. Don't overdo it or the dumplings will turn out too tough. The dough should be very soft and it is ok if it is still a bit sticky. Flour your hands and form a sausage, about 3-4 cm/ 1.1 – 1.5 inches in diameter. Cut the sausage into about 20 pieces. With floured hands roll each piece into a ball. Turn this ball very lightly through the flour on the working surface (only if it's extremely sticky), shake to remove the excess flour and press into a disc. With a floured finger press a small dent in the middle of the dumpling. When the water is boiling, turn the heat down to medium low. Give all the dumplings to the pot. They will sink to the bottom of the pan, so take a slotted spoon and go under the dumplings to prevent them sticking to the pot. After a few minutes the dumplings will come up. Cover the pan and simmer gently for about 5 minutes. Turn off the heat and let the dumplings in the hot water for another 5 minutes. Remove with a slotted spoon, drain shortly in a sieve and roll each dumpling in the breadcrumb mixture. 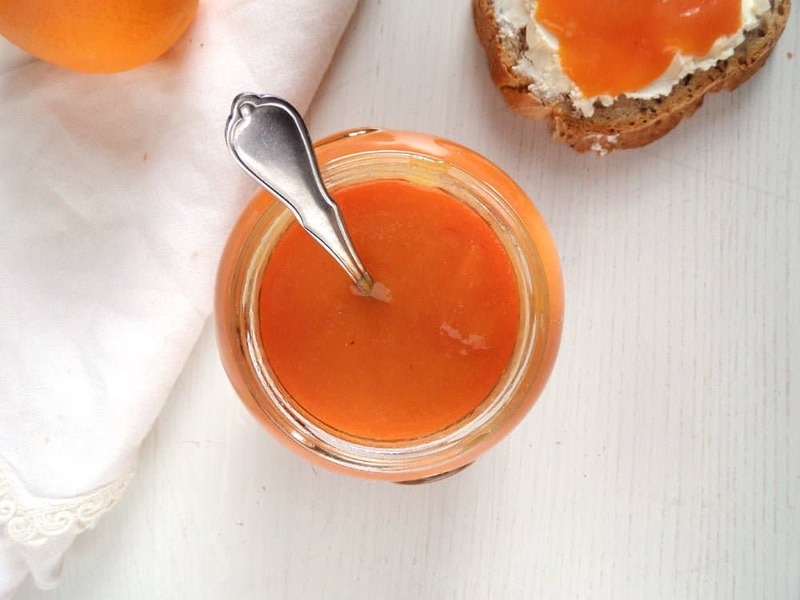 Serve warm as they are or topped with some runny jam. They look so delicious with that sweet crunchy coating! Will Quark also work? Hi Angie. I think Quark works, my friend makes them with Quark and they are nice but I could not say how much flour you will need then. Aim for a soft and light, yet manageable texture of dough. It is like a breaded cheese dumpling. I have never heard about them but would be thrilled to try them. They are similar to plum dumplings, aren’t they? I never had boiled papanasi. Yes, I would say they are a bit similar. I should make the plum dumplings again soon, I haven’t had any in quite a while. Very interesting recipe.anything with cheese will be delicious! Goodness gracious these look awesome! Gimme all the sugary sweet dumplings! I’ve never had a dumpling made with cottage cheese and semolina, so I totally need to try this! Cheers! Wow – they look fab. My mouth is watering after reading this, Adina. They are boiled and then rolled in crumbs, oh my goodness! This is a DELICIOUS thing to try. what lovely little bites! i think it would be hard to decide which method i’d prefer to eat, but i know i’d prefer to bake–hot oil makes me nervous! I know so little about Romanian food but I’m happy to say that your posts have been educating me about it!!! I would love to try one of these!! There is a very similar kind of “gnocchi” in Poland! Also coated with breadcrumbs. I find their sweet and savoury flavours mixture addictive… Yours look fantastic! I love their cute round shape (Polish are gnocchi-like shaped). The only difference is the lack of semolina (only, flour, eggs and fresh curd cheese which from what you say is exactly what you use in Romania…. not as smooth as quark but still fresh… look out for Polish or Russian grocery shops! They sell the cheese which might be similar to the Romanian one). Thanks, this is something new for me. They look wonderful, and it is something I would like to try. However, what does this mean? Not sure what your “regular” tablespoon is! Thank you! Hi. I mean an everyday teaspoon or tablespoon used for stirring in your coffee or for eating soup. The American measuring spoons, which are used for measuring when baking or cooking are a bit larger than the everyday spoons. I have a wheat allergy, but I bet my kids would love these!